Mother’s Day is here again, and she probably wants to go to her favorite Sunday Brunch again, and so will everyone else! Take this Mother’s Day up a notch by preparing her a home-cooked, gourmet breakfast on the grill. Mother’s Day Grilled Coconut Rum French Toast is a sweet and delightful meal that your mother, wife, or grandmother is sure to love. 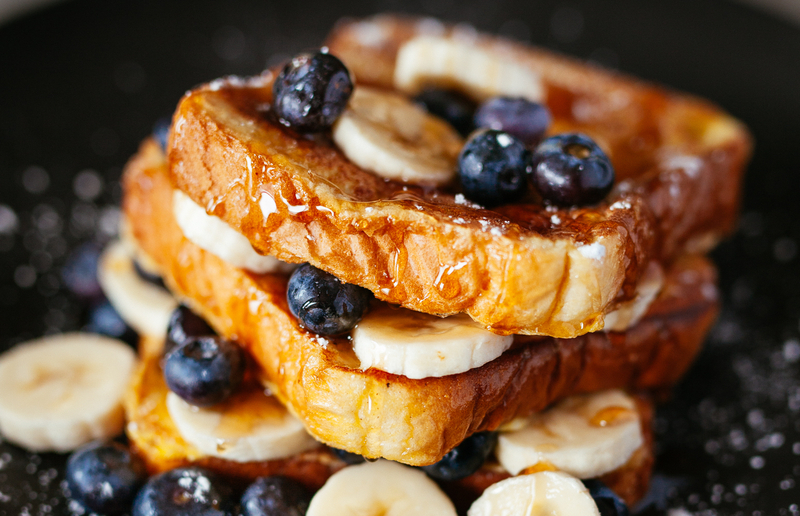 Featuring coconut rum for a tropical influence, this French Toast is grilled right on your grill for beautiful color and aroma. Begin with a loaf of Brioche, sliced into hearty ½ inch slices. The egg mixture is a combination of eggs, milk, coconut rum, and cinnamon; you can also add a little vanilla extract if desired. The key to grilling the French Toast is oiling the grates with canola oil so they bread and egg batter doesn’t stick. It only takes about 4 minutes per side over medium heat for gorgeous char marks to form. Finish off with fresh berries, bananas, whipped crème, maple syrup, or your mother’s favorite toppings. For protein, breakfast sausage can be grilled alongside the French Toast without extra time or prep. So fire up the grill, grab her favorite coffee, and bless a mom on this very special day. Combine eggs, milk, coconut rum and cinnamon. Next, preheat your grill for medium direct heat (about 350 degrees). Coat the grill grates well with canola oil so the bread does not stick. While the grill is heating up, soak your bread pieces in the egg mixture. Once the grill is heated, grill the bread until nice char marks form, about 4 minutes each side. Meanwhile, you can grill up breakfast sausage patties or links to go with the French toast. Grill the sausage links while grilling the French toast. Serve the French toast with diced strawberries (or fruit of your preference) and whipped cream (optional) and sausage.